Let’s talk about wall décor ideas. As we said on a number of previous occasions, redecorating a home and giving it a fresh new look doesn’t always mean spending a lot of money. Nor does it mean engaging in exhausting and long-term projects. It means finding the best and most convenient solutions to bright up and modify the looks of a space with just a few tweaks and ingenious solutions. Today we will focus our attention on wall décor ideas. Walls are often the first ones that receive the special treatment of redesigning. But how do we usually decorate our walls? A nice painting and some pictures in frames should do it, many would say. However, today we will take a look around other peoples’ houses and inside some interior designers’ suggestion notes. We have 10 wall décor ideas that take little time and are able to fundamentally change the looks of a place. In many occasions, wisely designing only one wall in the room is enough to liven up the entire place. Therefore, let’s see some tips, tricks and wall decorations ideas to get you inspired and challenge you to start renovating! Having a generous bookcase displaying all your reading pleasures is always a good idea, especially if you are an avid reader. 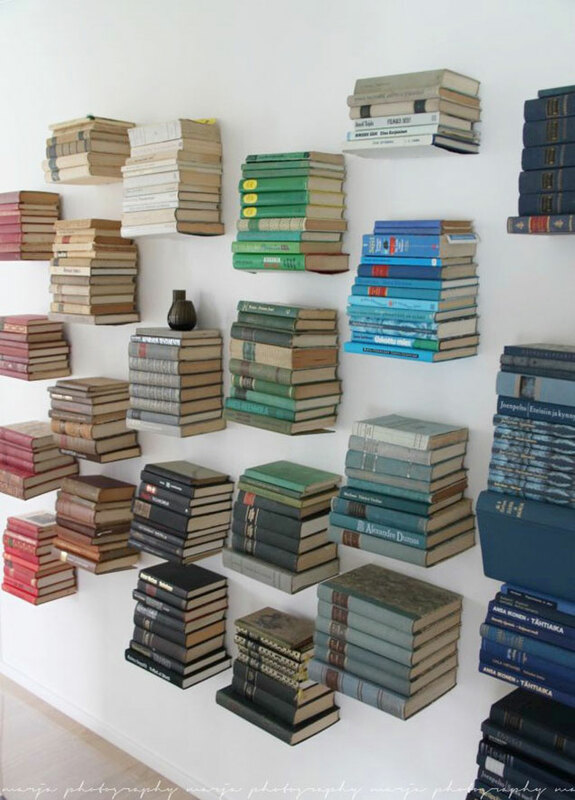 However, wall decorating with books can be taken up a notch. Instead of stuffing the living-room with a massive bookcase, you can fulfill two dreams at the same time. The dream of having a wall covered in books and of turning the place into a work of art. Use floating shelves for your books, just as it is shown in the picture below. It’s true that not many people would fall into ecstasy at the idea of painting an entire wall in black. However, let’s not forget that a black wall can become the canvas for more creative wall décor ideas than you might think. We loved the combination below. It does not only look very sophisticated and artistic, but it also highlights those family pictures you are so fond of. Remember that the black wall can be painted with subtle finishing to soften up the darkness. Also, it is not mandatory to belong to the living-room. It may very well turn your study into a wonderful place. Silk or plastic greenery is laid on a blank canvas and a coat of spray paint creates the reverse silhouette. A special material called frisket (available in the model-building section of a crafts store) gives the pieces a unique irregular border. The end result can liven up any living room or even bedroom in a pleasant manner, without much effort or investments. The chosen colors make any room look young, vivid, and fun to stay in. 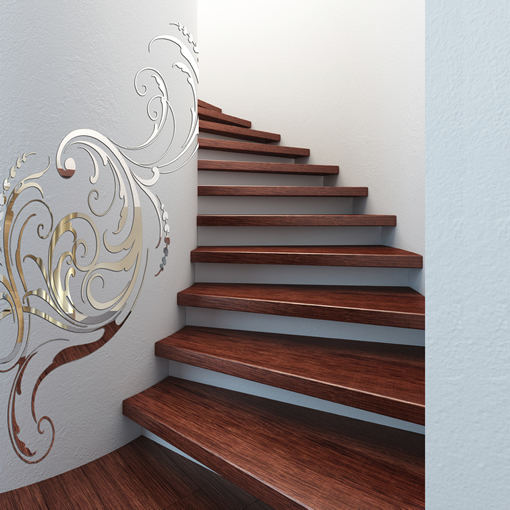 Decals and stickers make one of the hottest trends in interior design. They can marvelously give life to any room, no matter how minimalist it is and no matter how dully painted it is. Also, it doesn’t matter how it looked before the revamping. The industry of creating more and more original, funny, interesting and mind-blowing such wall decorations is on the rise. You can choose basically anything that fits your tastes, the room itself, and the attitude you want to imprint over the whole space. 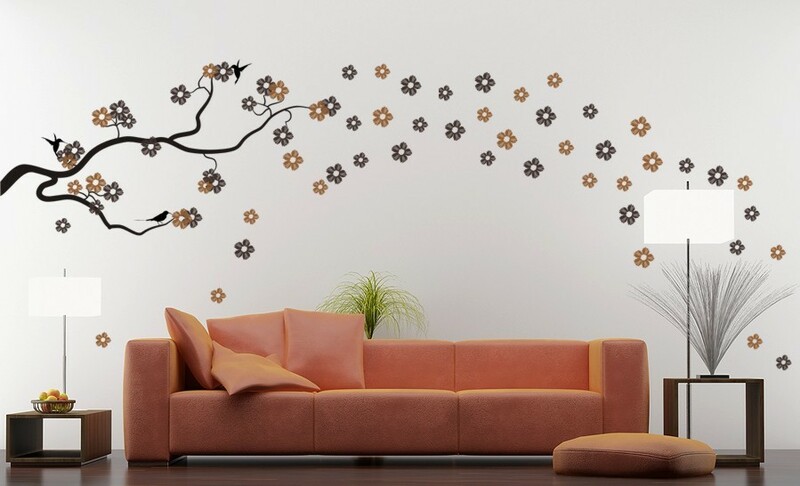 A serene atmosphere in the bedroom may require some flower and cloud wall stickers. A funky kitchen may ask for some colored specific stickers. The nursery may be turned into an oasis of joy for the children with the help of some inspired such decorations. 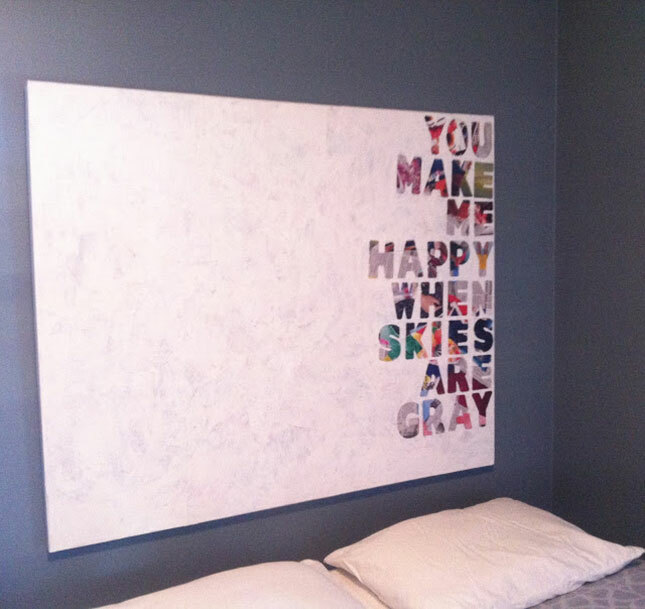 Canvas is a very versatile material when it comes to wall decorations. You can use it in a lot of smart and even funny ways. Let’s take canvas as the support for a future art – work. You don’t have to be Picasso to work with your canvas, just to have enough imagination to turn it into a wall art with quotes and paper applications. 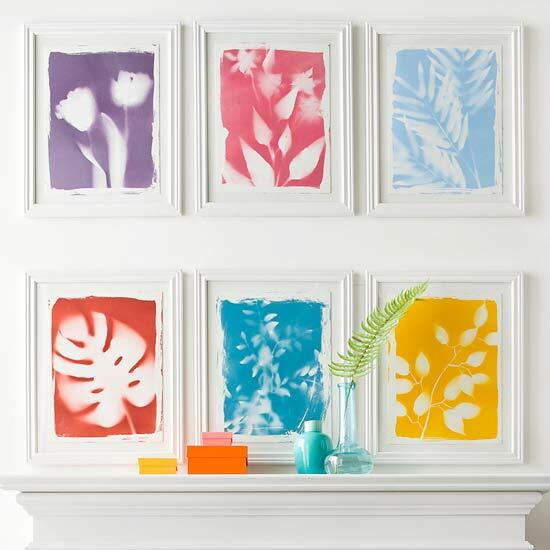 Paint the canvas “picture” in white or a colored pattern. Or even better, cover it with a collage of bits of colored paper taken out from some old magazines. You can adorn it with your favorite quote made from magazine letters or, if you are skilled enough, you can hand – paint the quote yourself. The final result can be spectacular. It depends where your imagination takes you. Another way to turn a canvas into a spectacular wall art decoration is to choose colored patterned materials and transform them into modern paintings. You don’t actually have to do much. Choose the most appropriate color combinations and contrasts. 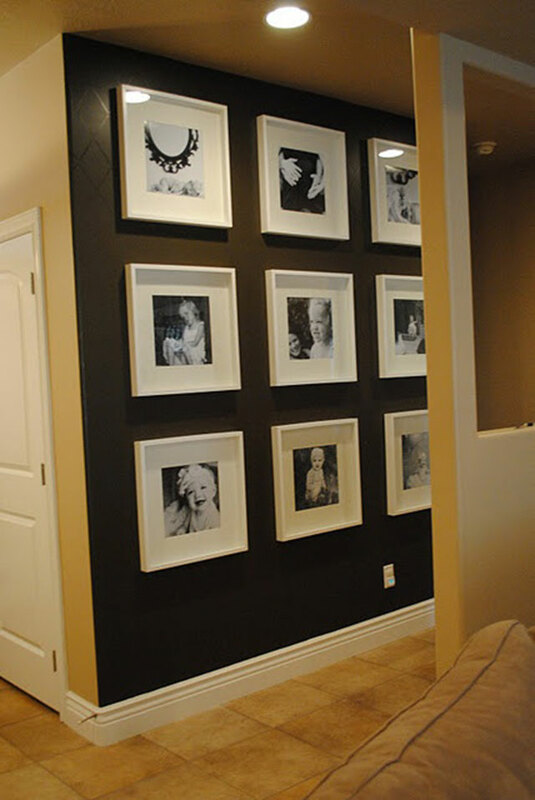 Build a canvas artwork grid on a room wall, so the “paintings” become the attention seeker in the room. White picture or photo frames can enhance the colors of the pictures themselves or can soften a strong colored wall with a striking contrast. Black frames have almost the same function. They center your sight onto the wall they are put on. Also, they bring a feeling of artistic aesthetics, especially if you use the black frames to enhance the beauty of B/W photos. 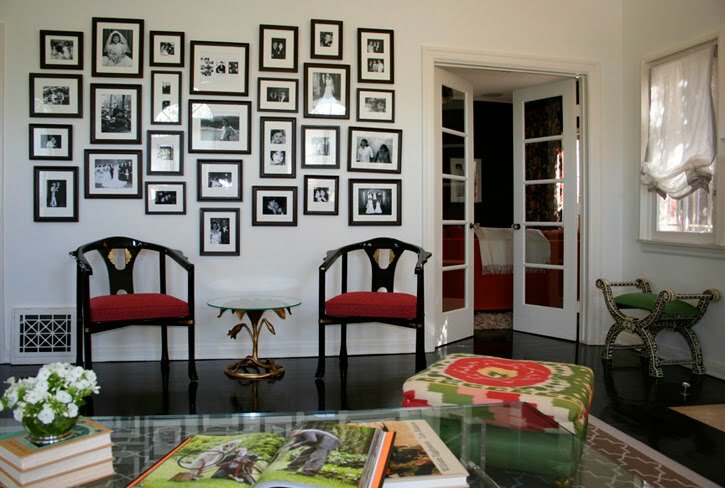 A grid pattern of placing black framed pictures on the wall can also make the other colors in the room pop – up. It doesn’t matter if they are embedded in the furniture or the other decorations and accessories in the room. A black and white combo may look cold and impersonal sometimes. 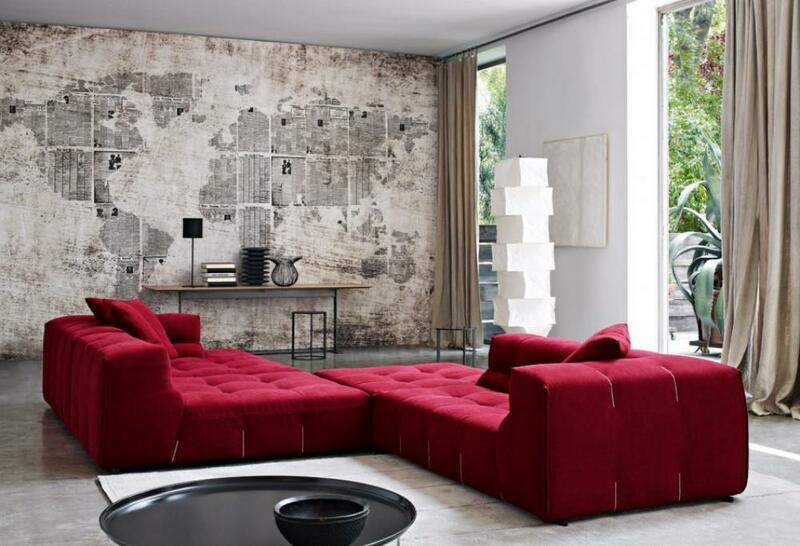 However, speaking of wall décor ideas, this mix is great for large rooms with a lot to share, visually speaking. A typographic wall map can liven up a rather dull, empty wall. It will incite you to dream of long trips and adventurous explorations around the globe. If you feel more like the old Indiana Jones and want a traditional map in a rather vintage style, there are dozens of options to choose from. The choice for such wall decoration needs to take into account the other furniture pieces and furbishing in the room. However, all in all, it fits well in a study, a living room, and a bedroom even. More importantly, it doesn’t even have to be a scientifically accurate geographical map or an academically useful one. 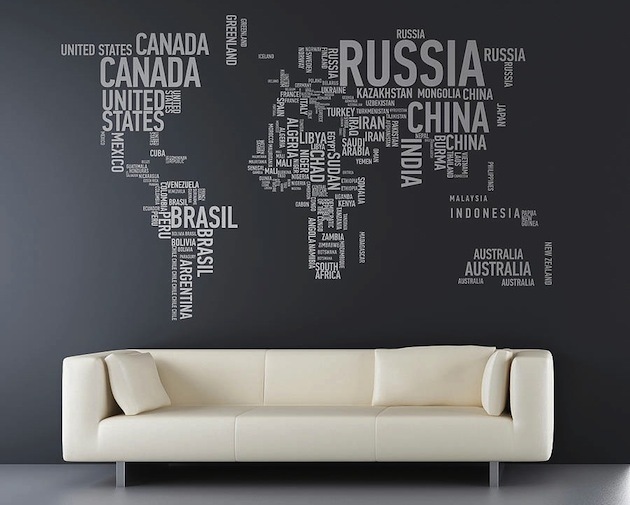 Artistic and stylized maps can be seen as over – sized wall paintings that beautifully liven up the space and fill an empty wall in a unique and almost eccentric manner. 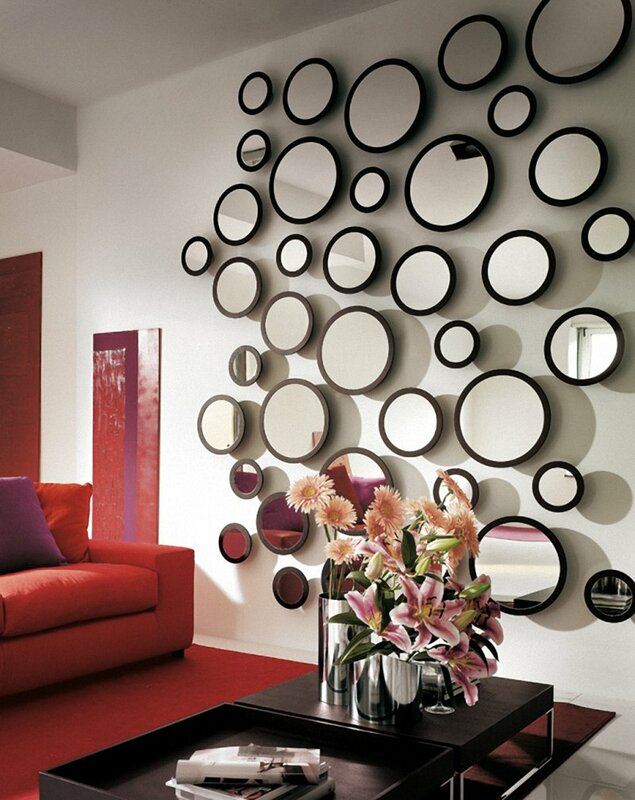 Mirrors are not just a utility item in the bathroom. Nor are they a mere trick to make a small room look larger and not even an odd accessory used to enhance the lighting inside a space. 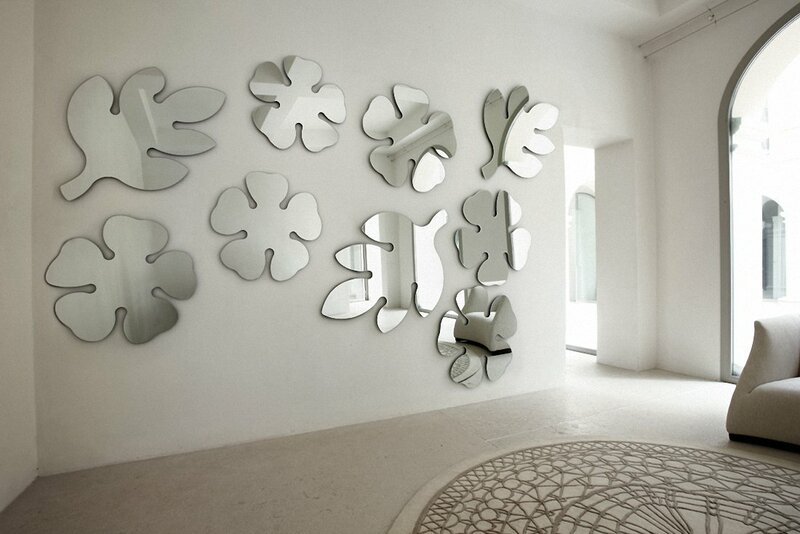 Mirrors are all of this and much more. This is a great idea for people who don’t have a garden. Or for those who do have one and want the outside design to create a continuum with the inside one. 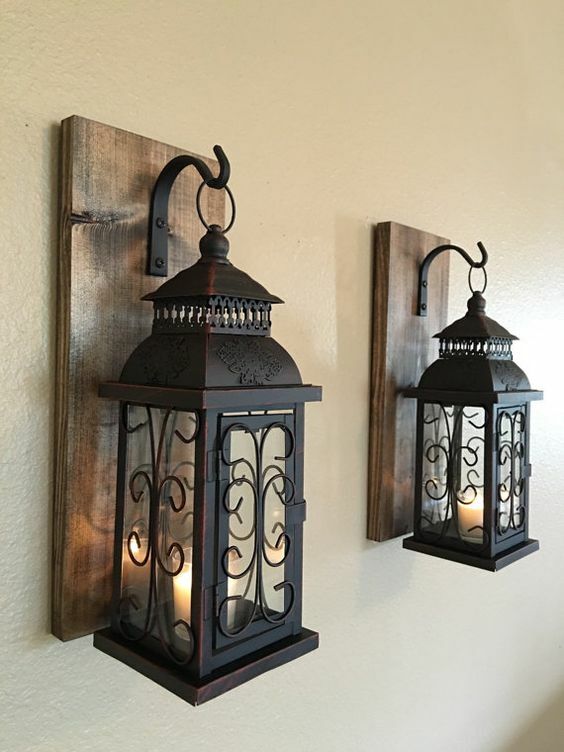 Nonetheless, the idea itself calls for you to hang a few old-fashioned wrought iron lanterns on the walls. Use real wax candles on the inside. In this way, you can make sure you create a warm glow in the evening time when you light them up. Plus, if you use the scented type, your house will smell amazing. Apart from that, the shadows of the flames will create wonderful flickering shapes on the wall themselves. That will give life to an almost artistic and relaxing environment for you to live in. Wow, what a treat! Now here’s a smart move we just know all the ladies will adore. 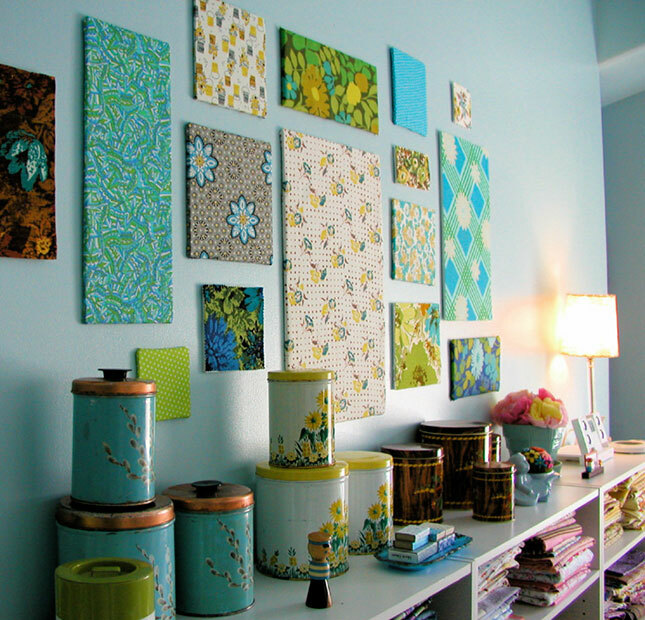 The reason is that not only is it a very pretty when it comes to wall décor ideas, but it’s also incredibly practical. It saves a great deal of space. Apart from that, it allows you to highlight your best pieces of jewelry in a spectacularly bohemian fashion. This example is actually made of a few pieces of driftwood. They were turned into mounted wall pieces or jewelry organizers that go perfectly well into a living room or a bedroom. It will make both look like a chic boutique full of artistic vision. 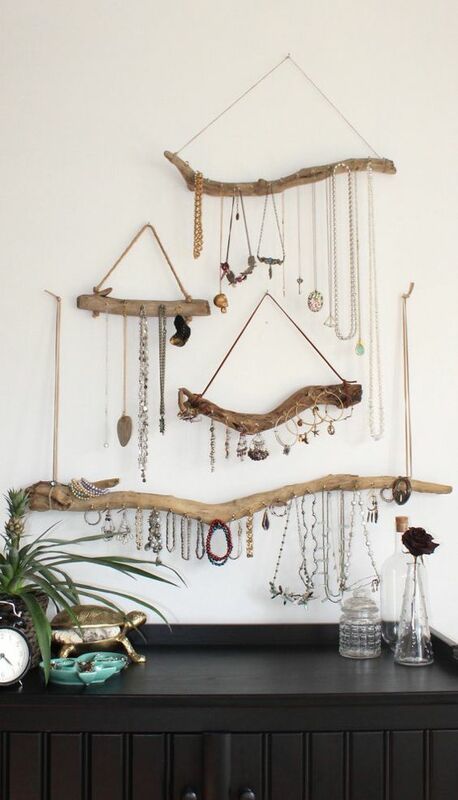 However, since this is more of a DIY type of project, you don’t have to limit yourself to driftwood. Use anything you like. Plastic, rope, metal, even coat hangers if it feels right to you! Now we hope these 10 wall décor ideas were enough to make your imagination floating to even greater designing concepts that involve walls. Of course, many wall décor ideas represent a combination between more such ideas. However, starting from these, you can come up with your own wall decoration projects. If you have something that you are proud of, don’t be shy in sharing. Before letting you think of your own designs, we have to thank our sources for their incredible help with our wall décor ideas: Francesco Mugnai and the great guys from the Brit +Co and Better Homes and Gardens. We’ve been looking for a present for my mother, and I think that getting her something unique for her wall decor could be good. I like how you talked about a framed photos on a dark wall being a cool wall decor idea, and I think that being able to do that for my mom would be good. She’s always really liked the idea of a family tree in her home, so maybe we could make a photo wall for her that illustrates one! We’ll have to give it a shot and see what my siblings think first, but thank you for the idea! It sure is nice to know that black frames center your sight onto the wall they are put on and at the same time can make the other colors in the room pop up. My wife is interested in adding decoration to our house. I’ll suggest that she tries this out along with other home wall decor products that she thinks will make our wall more interesting and enticing to look at.